Having best friend is one of lifes best gifts. When you have one true friend who will always be there for you, thats all you need. At 365 In Love/365 Printing Inc, we provide unique matching outfits for you to enjoy with your best friend. Its a cute and fun way to show off your dear friendship! 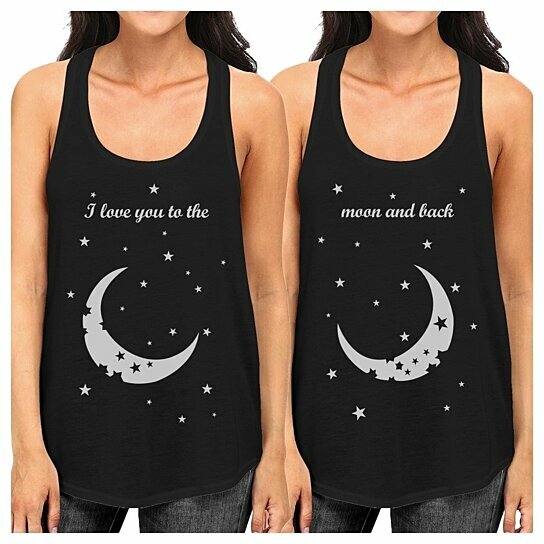 Our BFF matching tank tops are made of breathable lightweight ring spun cotton that can ensure comfort when wearing. These graphic tank tops are pre-washed tops preventing from any significant shrinking after the first wash. All our designs are created, printed and shipped from California USA, and we offer hundreds of unique, cute, and funny friendship designs for various themes and special occasions providing perfect and easy best friend gifts for birthdays, Christmas, sports events, and many more. Make your unforgettable memories with 365 In Love/365 Printing Incs best friends matching topsStart Shopping Now!